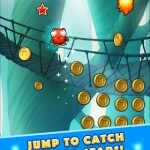 Mega Jump is an awesome free game for iPhone and Android that I’ve been playing a lot lately. 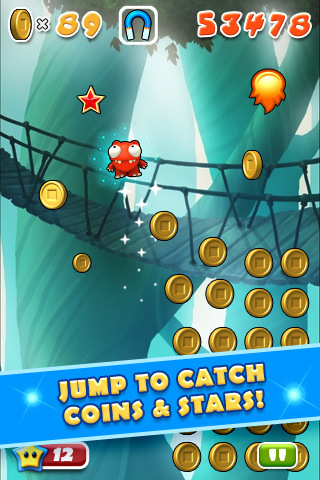 You’re basically a little critter that jumps and grabs coins. 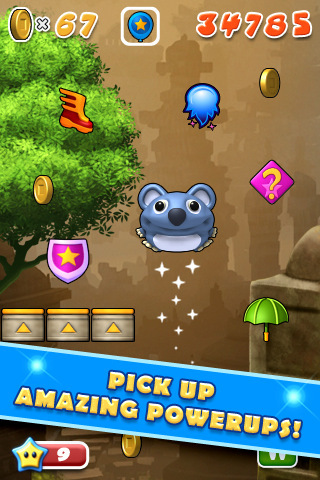 Each coin you grab boosts you vertically a little farther, and you try to keep jumping from coin to coin to keep going. 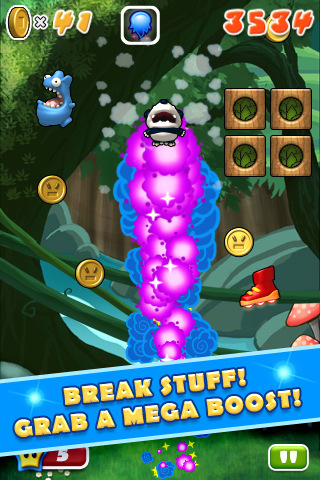 Along the way you can get power-ups that will help you get coins, go higher, or protect you from harm. Don’t “tilt” the game. You’ll figure out what this means. 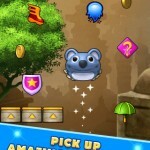 For every 100 coins you collect, you’ll get 10 MP which you can spend on stuff in the store. Characters don’t have any special powers, so don’t buy them expecting any. 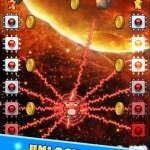 Power-up upgrades change the power-ups you find in the game, they’re not weapons you can activate from your inventory. 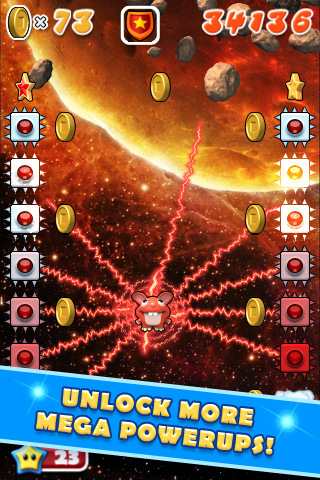 Upgrade the magnet power-ups first. 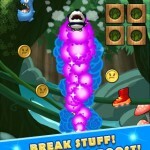 They’ll help you get coins faster, which means you’ll be able to upgrade the other power-ups faster. Enter my mega code 6vgk7 to get 500 MP right from the start. Full disclosure: I’ll get 500 MP, too. What are you waiting for? Download it now from the iPhone App Store and Android Market.